This fish tale(I could not help it) starts off with a class lesson in the letter “F”. My daughter is in 3K. As a class project they were learning about the letter “F”. All the children in class came home with a fish, “Freddie: The Fish.” I thought it was a cleaver idea. The grandparents the week before had already purchased two goldfish, at least that is what I think they are and it seems like we were doing well with having a family pet. By the way, the other two fish are named Nemo and Ceelo (not to be confused with the singer Ceelo Green). So here we are Nemo, Ceelo and Freddie:The Fish all living in one big happy fish tank. Freddie: The Fish really was the small fish in a rather big pond. He was much, much smaller than the other fish. He could not eat the pellet fish food as the others, so we fed him the flaky fish food. As my three-year-old constantly told us, ” Do not feed Freddie too much he will die.” I guess a fair warning from her teacher. Ok, So we watched Freddie’s food intake… until I noticed one day as a family friend’s daughter was feeding the fish, Freddie was looking; well not so FISHY! He was moving rather slow and looked rather seasick. 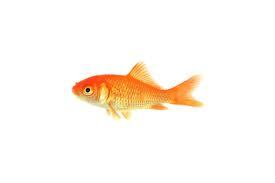 I know, he’s a fish, and they live in water. But Freddie looked really, really sick! The next day we got up as usual and were getting the kids ready for school. That morning we had our prayers were the oldest, the 5-year-old thanked the Lord for Freddie. Well sometime between giving thanks or maybe even before Freddie went belly up, literally. Thank God it was not noticed. I believe that was the Lord’s grace for all of us. So my husbands goes to take the kids to school and I had to fish, I mean scoop poor ol’ Freddie out the tank. I put him in a Starbucks paper cup as we tried to figure out what to do. When in doubt and in need of a good laugh, the best place to turn is if of course, Facebook. (the names are removed to protect the innocent. Whattt??? I just met him yesterday. He didn’t look sick… When is the funeral? Weeelll u could do what we did…take fish back and exchange it for one that looks like it. If the kids dont know its dead it wont matter…. 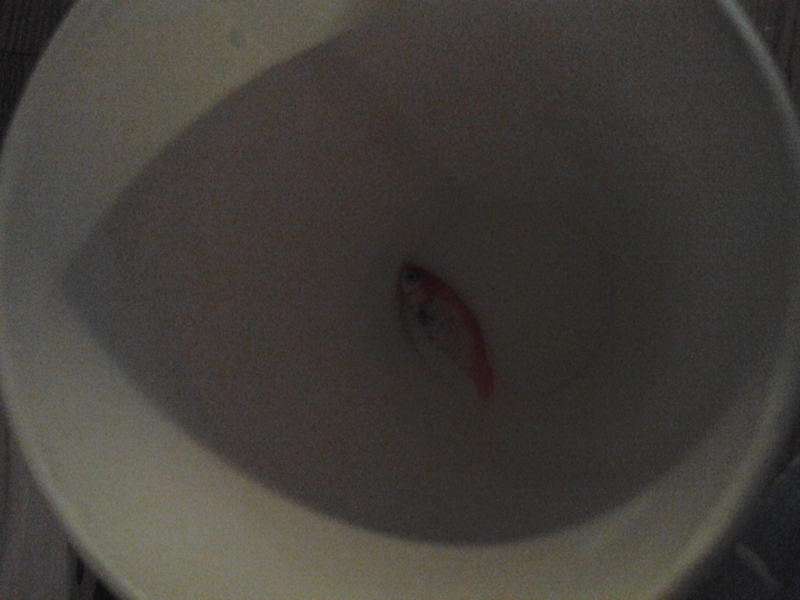 we had a beta fish to die about two years ago and for a while if you even mentioned the fish name, spencer would cry. I made the mistake of getting rid of the fish while they were gone for the weekend. Grief and mourning for like a year. A funeral would be ummm….cute. lol! As you can see the responses were pretty HIGH-larious! My husband and I seriously thought about buying a fish, replacing Freddie before the girls got home from school. Then we thought that would be lying. The very thing we tell them not to do. By the way, if you have replaced a pet without your children knowing, in no means am I throwing stones. I am just saying WE decided not to do that but rather confront the situation head on. Do NOT make a BIG deal: If we minimize it, not trivialize it most likely the children will not make a big deal about it either. Be truthful: If this is what we tell them well we better model it. Package the truth in a way they can understand and move on. Honor Feelings: If they want to cry, let ’em. Little people have feelings too. So I want to hear from you. Have you ever had to break difficult news to your children, maybe about death? How did you do it? Please leave a comment so we can walk this journey together.